It was early November in Elsah, Illinois — a 48-minute drive from St. Louis, Missouri. 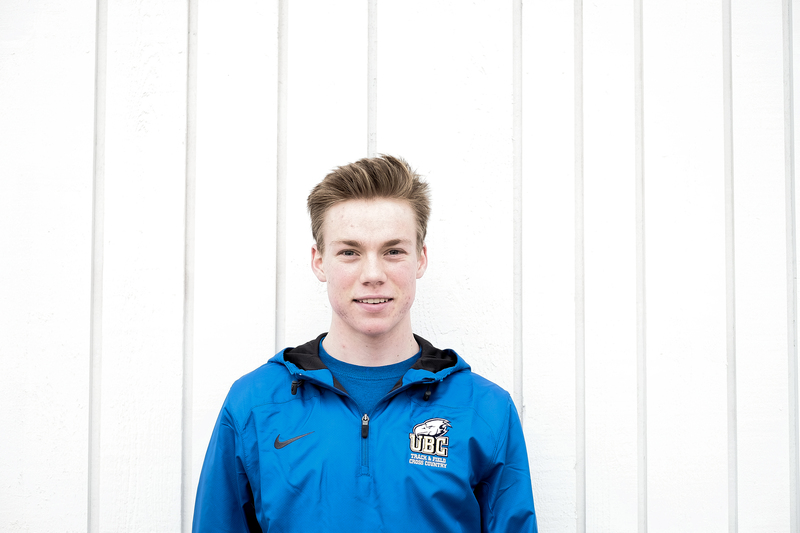 Kieran Lumb, a first-year engineering student at UBC, was about to participate in his first ever national championship with the Thunderbirds. The 18-year-old had a good track record. 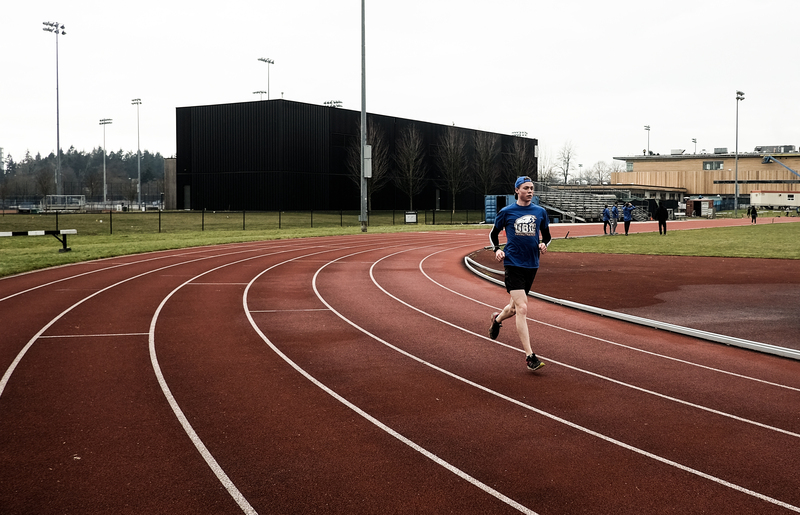 He had beat out the best runners in the province at the BC High School Cross Country Championships, and had also set a world record for the Red Bull 400m race up the Olympic ski jump in Whistler, BC. But now he would be running at the National Association of Intercollegiate Athletics (NAIA) Cross Country Championships in a field of about 330 other athletes — many of them in their third and fourth years, and many of them the best university cross country athletes in North America. All eyes were on fourth-year Jesse Hooton and third-year John Gay, who finished in fourth and fifth place respectively. But eyes were on Lumb too. The team’s lead endurance coach, Chris Johnson — who joined the team in September 2015 — was watching the race on the internet. Johnson himself had been a UBC track and cross country athlete between 1994 and 1998 before his career ended due to injuries. The race started and for a large chunk of it, Lumb was pretty far behind. However, according to Johnson, he was running a “mature” race. Things changed in the second half. Johnson watched as Lumb began to move through the field. Slowly and steadily, he edged his way closer to the pack — each step taking him closer to his goal. Lumb went on to come 26th in the race — a very impressive feat for a rookie. His performance helped propel the men’s team to its third-place finish at the championships. Johnson knew that Lumb could make the Canadian junior team that would go to the IAAF World Cross Country Championships in Kampala, Uganda. To do so, he had to qualify at the Canadian Cross Country Championships in Kingston, Ontario and to do this, he needed to run a similar race to the one he did in Elsah. The 5’11 athlete went on to do just that. On November 26, 2016, he finished sixth in the Under 20 division. His time in Kingston also qualified him for the North American, Central American and Caribbean Athletics Association Cross Country Championships (NACAC) —also known as the Pan American Cross-Country Cup — in Boca Raton, Florida. Lumb tied for gold with Arturo Reyna Tristan from Mexico. Funnily enough, running has never been Lumb’s main sport — his focus growing up was cross country skiing, which his father was on the national team of. According to Lumb, he probably started skiing at two or three. “Both my parents always really encouraged an active lifestyle and so I guess it would definitely be from them that I lead an active lifestyle,” said Lumb. He first realized he could run — and run well — in elementary school. Throughout those years, he had a close friend and fierce rival growing up — Thomson Harris. Harris, who now plays field hockey for UBC, would always beat him or tie with him at running. “He was the one that really pushed me throughout elementary school and even throughout high school,” said Lumb. On the last day of cross country in elementary school, Lumb managed to beat Harris by just a little bit. For him, that was a big moment in his running career, and that encouraged him to keep going. “I am very obsessive. When I have something that I really want, that becomes my single focus whether that’s running, or academics, or outside of those two. I just kind of become obsessed with it,” said Lumb. Although cross country seems to be his strength, Lumb actually ran the 800m throughout high school. Moving from this to the higher, heavier mileage of cross country was a big transition. Early in September 2016, he was injured for a few weeks because he wasn’t used to that level of running. Lumb trained with Johnson and Norm Tinkham — another of the endurance coaches — in the fall. Obviously, Kampala, Uganda is not Vancouver, British Columbia. According to Johnson, the temperature is expected to be around 28 to 30 degrees, plus some humidity. The team has had to train for that. They have a protocol with the UBC sports science department under its head, James Brotherhood, which involves a sauna and treadmill sessions at the Lululemon lab. Lumb isn’t really sure what’s next — in fact, he has no idea. For him, that’s why he chose to do engineering and focus on his degree. His interests shift all the time and he doesn’t like super distant goals, both in general and in training. On March 26, Kieran Lumb will be competing for the Canadian national team at the IAAF World Cross Country Championships in Kampala, Uganda.